AMMONNEWS - Iraq on Thursday announced the completion of technical preparations to extend a pipeline to export 1 million barrel of oil per day through Jordan. In a press statement, Iraqi Oil Minister, Thamir al-Ghadhban, voiced hope that Iraq will export one million barrels of oil per day through this pipeline. 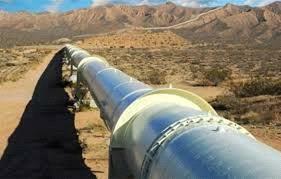 Iraq, he added, has completed arrangements for means of extending the pipeline to Jordan, which include its track, components, absorptive capacity and the mechanisms of linking it to the northern Kirkuk oil fields. "The arrangements also include funding, implementation and available operation means, along with many other options," he added. The minister stressed that Iraq depends now on the southern port city of Basra for oil exports, noting that the Ministry of Oil has prepared a major plan for its rehabilitation and development to increase its export capacity to levels that have never been reached. He pointed out that Iraq's new plan is to have three points for exporting crude oil that are connected to each other. Iraq and Jordan have recently concluded six bilateral agreements to develop relations, most notably in oil and energy, aimed at revitalizing their economy and strengthening ties between the two countries.